You can view the location of all our customers via the map on this page. 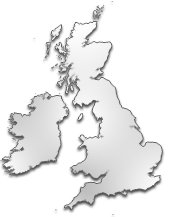 Choose an area of the United Kingdom on the right hand side of the page, and view all of our customers in that area. You can scroll about and zoom in and out on the map using the icons on the map or by using your mouse scrollwheel if you have one. Results for the North west of England are displayed below. To show a different selection, please choose a region from the list on the right.